I hope you all have a wonderful Thanksgiving This is a great object lesson for the Sunday after Thanksgiving. Verse: Ephesian 5:20 (ICB) Always give thanks to God the Father for everything, in the name of our Lord Jesus Christ. Read the verse and talk about how important it is to always give God thanks. Thanksgiving to God is more important than even eating Thanksgiving dinner. 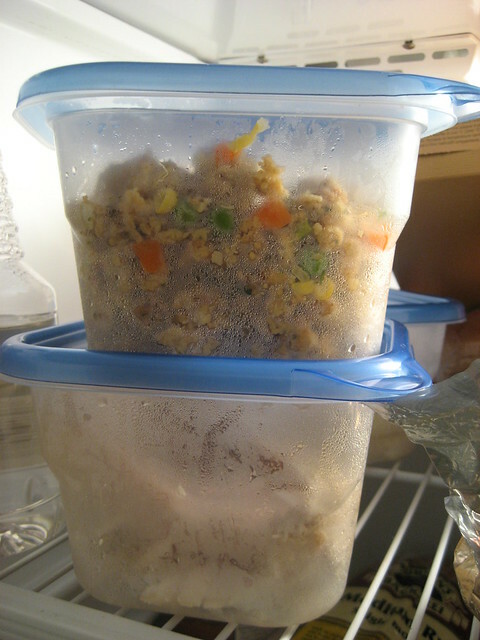 How many of you have some of these containers in your refrigerator? I always have lots of leftovers after Thanksgiving. Name some leftovers you might have. There’s one thing I don’t have leftover from Thanksgiving though. Thanksgiving is a day set aside to thank God for his blessings. But we shouldn’t give God thanks only on Thanksgiving. When we do that, it’s like serving God leftover thanks. We should thank God every day for his blessings.